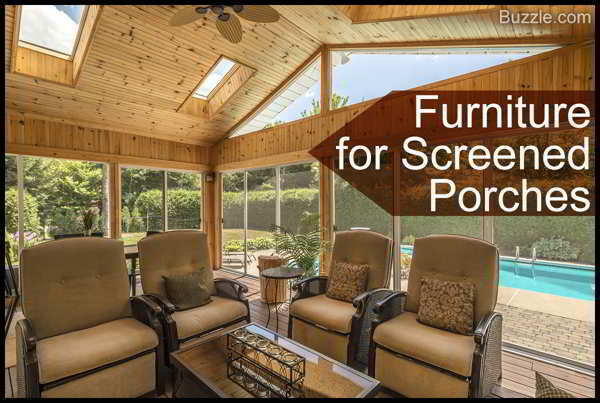 A well-maintained screened porch speaks volumes about the owner's style and personality. There are a great number of ideas on how to decorate porches, to increase the aesthetic appeal of your home. A screened porch is a great place to spend lazy summer afternoons. It is attractive and useful in many homes. In fact, it can be an extension of your living room, where you can even entertain your guests, and it can be a stylish retreat for you and your family. A well-decorated screened porch radiates a feeling of warmth and happiness in your decor. Nowadays, it is quite hard to find homes that have porches. If you are lucky enough to have one, then you should decorate it beautifully. Here are some ideas that will help you to decorate screened porch. Before introducing new changes to your screened porch, you should clear the clutter. Put the magazines and newspapers in book shelves, keep the shoes on a shoe rack, and hang the coats in a closet. You have to organize your things prior to decorating your screened porch. 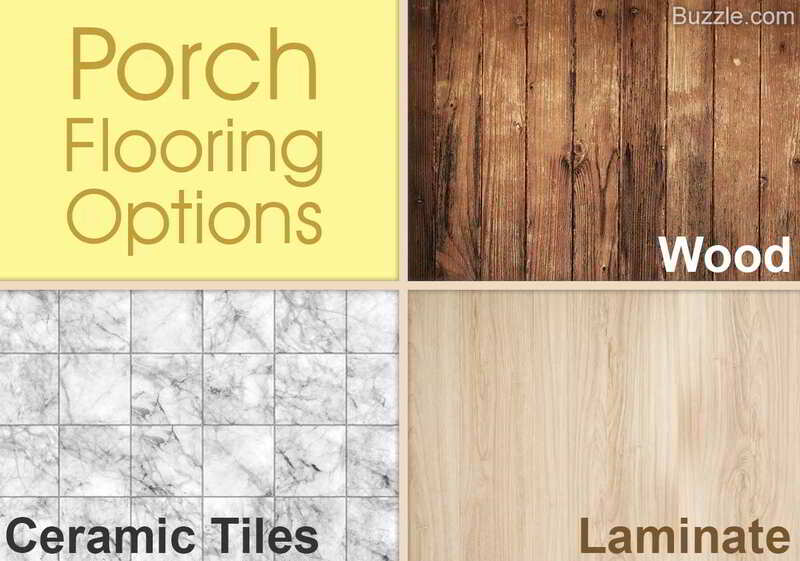 For porch flooring, create a timeless elegance, with teak or pinewood. For a limited budget you can also use laminate flooring. It is cheaper than wood or natural stone and the installation process is simple. Ceramic tiles look sophisticated and require very less maintenance. Add some color by placing an all-weather rug in the center of the porch. You can create a unique piece of art on the floor by painting a faux rug, or you can weave an intricately patterned rug of acrylic paints. For a casual look in the porch, use a low side table and a loveseat. If you will have meals in your screened porch, use a wood or granite topped table. Get a rustic look by using wicker chairs. Floral printed cushion covers or bright-colored fabrics with mirror work, can be used. A glass center table goes very well with cane furniture. However, if space is a constraint, you can use a folding center table. Decorate the table with a laughing Buddha, flower vase or a table top fountain. 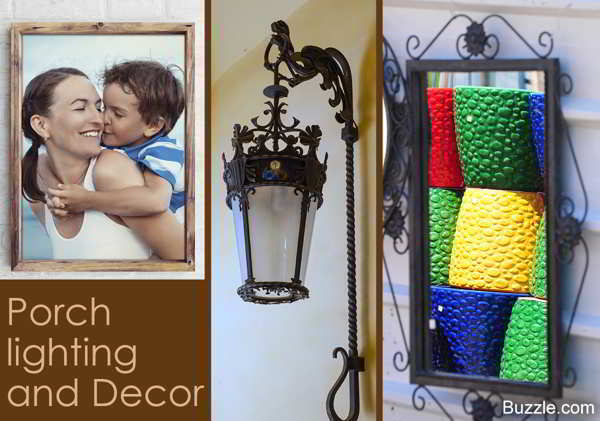 Wrought iron light fixtures like candle holders or lanterns give porches an old world charm. You can also use stained glass floor lamps for creating a soft diffused light. Hang sketches or paintings of your children on the walls. For light-colored walls, copper or bronze art work will accentuate the beauty of your porch. A wrought iron wall mirror looks great in front porches. For a warm Mediterranean look, use wall decorations in shades of ivory, turquoise, orange-red or olive-green. Welcome your guests by hanging a beautiful floral wreath on the entrance. If your porch receives sunlight, you can create a container garden by using old paint buckets, milk jugs, wastepaper baskets, glass bowls, etc. 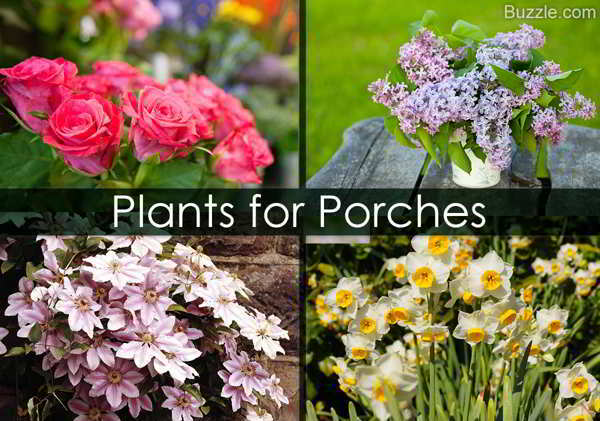 Plants like roses, lilacs, azaleas, paperwhites, amaryllis and cyclamens grow well indoors. Flowering vines creeping on the porch screens will make your porch a delightful haven. Wisterias yield stunning blooms in clusters of white and purple flowers. Some other captivating climbers are the Chilean bellflower, periwinkle, trumpet vine, clematis, bougainvillea, climbing rose and morning glory. These colorful creeping vines will not only lend a fragrant aroma to your porch but also attract butterflies and hummingbirds. Installing railing planters is an innovative way of beautifying your porch. Your screened porch is a place where you can enjoy the outdoors without having to face annoying insects. 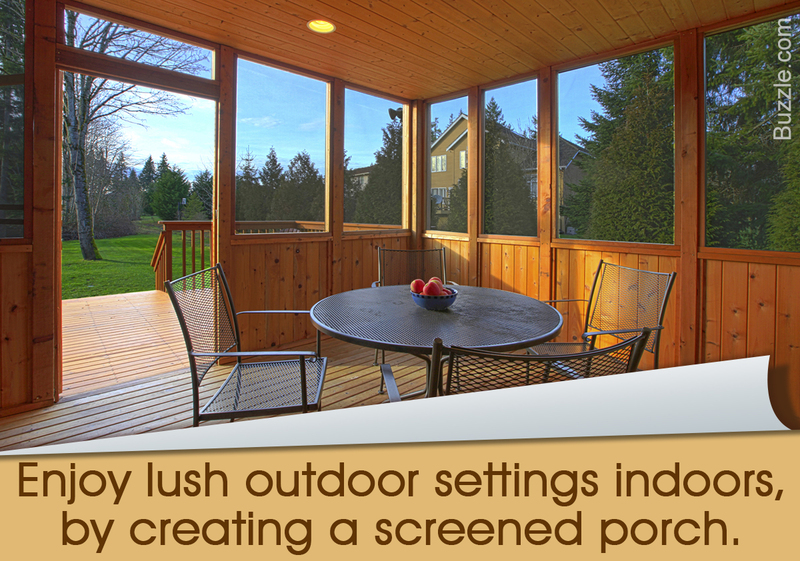 The screens prevent bugs and allows you to enjoy the lush surroundings of your garden. You can enjoy a meal once awhile here. Choose some comfortable chairs for the patio and place a nice dining set on your table. Choose furniture that can withstand the weather outside. You can even invite guests to spend time here, while you serve the meal, for a nice informal gathering! These tips were all about how to decorate a screened porch. Go ahead and implement your crazy, creative imagination and make your screened porch the most talked about thing in town.